VHP & AIMPLB Both Object Sri Sri Ravi Shankar’s Ayodhya Mediation. Ayodhya dispute: Sri Sri meets Yogi Adityanath; VHP, Muslim organisations raise objections on mediation. Express Web Desk | New Delhi | November 15, 2017:: Spiritual leader Sri Sri Ravi Shankar met Uttar Pradesh Chief Minister Yogi Adityanath in Lucknow on Wednesday, ahead of his visit to Ayodhya tomorrow. 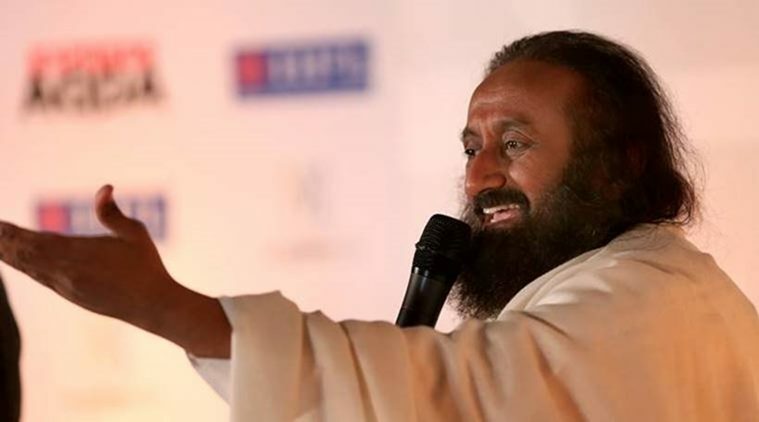 The Art of Living founder who is involved as a mediator in the Ram Mandir- Babri Masjid dispute had earlier said that he has no agenda and that he would meet all the parties involved in the dispute. In the “courtesy meeting” that lasted about 40 minutes at the CM’s residence, Ravi Shankar briefed Adityanath about his plan to bring a mutual consensus over the long-simmering debate. “As far as the Ayodhya issue is concerned, Adityanath’s stand is very clear. The state government is not a party. We welcome any settlement and will honour the decision of the court,” a senior state government official told PTI. “I am hopeful… I am not disheartened. No one is opposed to amity. This is just a beginning, we will talk to all,” Ravi Shankar told the media. He also said that his discussions with the Chief Minister included “everything about how can we bring more peace in the nation, in the country, and the welfare of farmers and cleanliness and many other issues”. He also said that he has got no proposals from any side. “Neither I have given any proposal nor have I got it from anyone,” he said. Expressing hope that Ravi Shankar’s efforts might turn successful, Uttar Pradesh Governor Ram Naik, however, stressed that the decision by the Supreme Court would be final. “This (mediation) kind of effort is being made by those who believe it will help resolve the issue at the earliest. I wish their efforts bear fruit. But the apex court’s final verdict will be binding,” Naik said. The Supreme Court had earlier this year suggested amicably resolving the issue by taking all concerned parties on board. The court in its observation had said that issues of “religion and sentiments” can be best resolved through talks. However, not many are happy with the Ravi Shankar’s involvement in the issue. Various Muslim organizations have expressed their reservations, saying that the spiritual guru should first disclose his plan. The leaders also raised an objection to the statements made by Shia Central Waqf Board chairman Wasim Rizvi. Rejecting Rizvi’s stand that a temple should be built on the site, Rehmani said that the chairman of any board does not have the power to hand over any disputed site to any party. “If Rizvi’s logic is that Mir Baqi, who got the Babri mosque constructed, was a Shia then also it (mosque) was made for all Muslims,” Rehmani said. 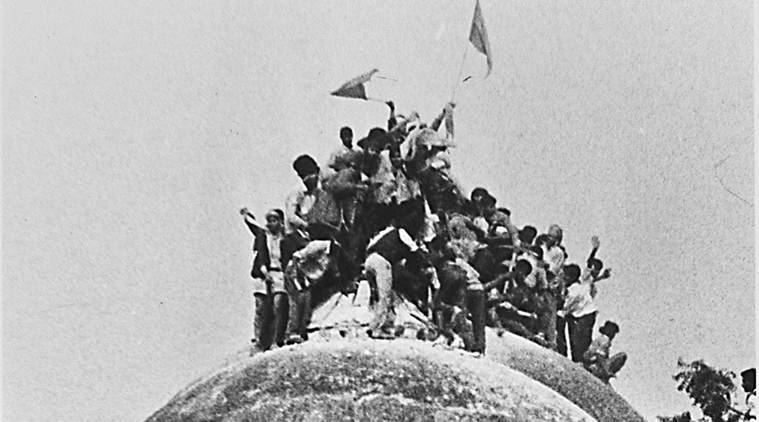 On December 6, 1992, many right wing activists had demolished the Babri masjid claiming it was built on a temple marking that was the birthplace of Lord Ram. Shia Personal Law Board spokesman Maulana Yasoob Abbas refused to comment on Rizvi’s statements but said his board was with the AIMPLB on the matter. Babri Masjid Action Committee convenor Zafaryab Jilani, meanwhile, said that while Rizvi might be the chairman of the Waqf Board, he had no standing in the court of law. He also added that in case Ravi Shankar had any proposal other than rejecting the claim of the Muslim side, the meeting of the executive committee would be convened to discuss it. He also expressed his reservations over the Vishwa Hindu Parishad’s objections to the mediation process. VHP spokesman Sharad Sharma ruled out the need for any kind of dialogue over the Ram Temple row saying that archaeological evidence in the matter was in favour of the Hindus and that the courts go by proof. “The Ram Janmbhoomi belongs to the Hindus and they need not beg anyone for it…the Muslims should themselves take the writ petition back as they had stated in the affidavit in the court. The VHP is keeping an eye on the activities of those involved in the activities for an agreement…It was a temple in Ayodhya and will remain as one…the only work remaining to be done is to give it a grandeur which will be done through Parliament,” he said. This entry was posted on November 15, 2017 by hinduexistence in Ayodhya Ram Janmabhoomi Temple Movement, Demand for Ram Temple at Ayodhya, Hindu Advocacy, Hindu Demand for Ayodhya Ram Temple, Save Ayodhya and Ram Janambhoomi Temple and tagged Ayodhya dispute, Muslim organisation raise objections ton Sri Sri's Ayodhya Plan, SC's decision to be binding on Ram Temple: UP Guv, Sri Sri Ravi Shankar's Ayodhya Mediation, VHP & AIMPLB Both Object Sri Sri's Ayodhya Move, VHP says no mediation needed for Ayodhya Ram Temple.